Iran and the 5+1 Powers (US, Britain, France, Germany, Russia, and China) resume talks on Tuesday in Vienna for a comprehensive nuclear agreement, six days before interim arrangements expire. Discussions begin with a working lunch between Iranian Foreign Minister Mohammad Javad Zarif and the European Union’s foreign policy chief Catherine Ashton. The two sides are still divided, after several sets of talks since last November’s interim agreement, over issues such as Iran’s number and level of centrifuges for uranium enrichment, the lifting of US-led sanctions on Tehran, and the duration of an agreement. 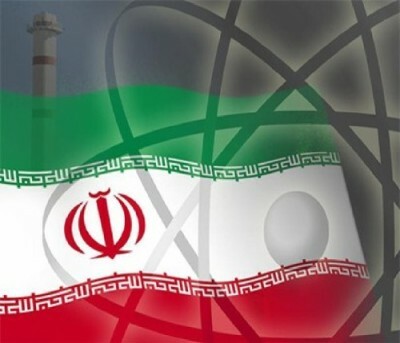 Mainstream media have been focusing on whether a compromise is possible between Iran’s current operating stock of IR-1 centrifuges, about 10,000 of which are operational, and the demand of the US and some European partners for a substantial reduction. Recent reports are suggesting a settlement could be found on a figure of around 7,000 centrifuges. However, those reports often ignore that Iran would insist on advanced centrifuges among a stock of 7,000, looking to advance toward the Supreme Leader’s declared goal of an output of 190,000 Separative Work Units — about 20 times the current capacity. Seeking to replace its 40-year-old IR-1 centrifuges, Iran installed IR-2m upgrades in early 2013, although it has not brought them on-line. Tehran has also recently tested IR-5 models. Failing a resolution, it is possible that both sides will agree yet another extension of the interim agreement, as they did in July. US and Iranian officials have publicly stated — although private signals have differed on occasion — that they do not envisage an extension. For the fourth time, MPs have defeated President Rouhani over his choice of Science, Technology, and Higher Education Minister. The Majlis voted 170-71, with 16 abstentions, to reject the nomination of Ahmadi Danesh Ashtiani on Tuesday. Hardline MPs are challenging the President over the Government’s approach to higher education. They object to the reinstatement of students who were expelled and professors who were dismissed amid the mass protests after the 2009 Presidential election, and some are demanding that “Islamization” of universities be pursued. Rouhani’s initial nominee, Mili Monfared, was defeated in summer 2013. Reza Faraji Dana was impeached and dismissed this summer, and his proposed replacement, Mahmoud Nili Ahmadabadi, failed to win approval last month.